This recipe is so quick and so simple. The fudge has only 2 main ingredients, chocolate and a can of sweetened condensed milk. I like to add a little butter, salt and vanilla for extra flavor to yield a sweet, smooth, impossibly easy, foolproof fudge with a layer of creamy white chocolate orange fudge, that is so velvety as you sink your teeth into each devine, ultra-rich bite! 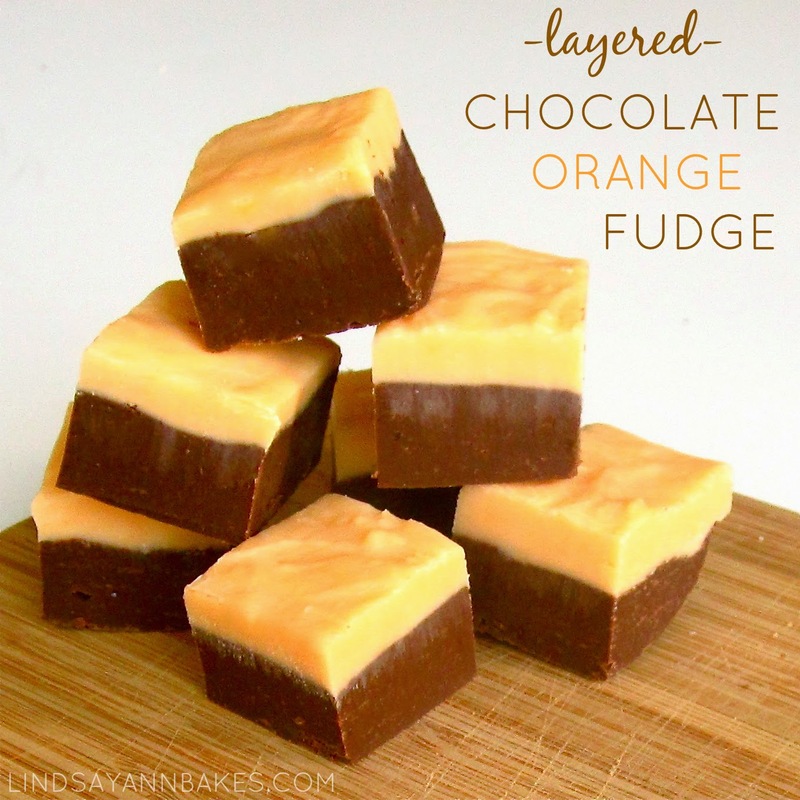 The colors also make this fudge great for Halloween! You can even add a plastic spider ring to the top of each fudge square for a fun Halloween party treat. This is a full batch recipe, based off of my 4-in-1 fudge recipe. 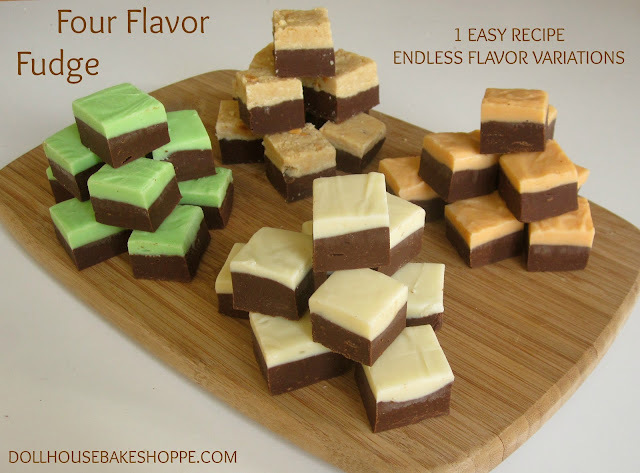 It makes a full pan of perfect chocolate orange fudge, but if you are looking for a little variety, be sure to check out my Simple 4 Flavor Fudge to create a flavor variety pack with just one recipe! 2 teaspoons orange extract (OR 2 teaspoons finely grated orange peel) and a few drops of orange food coloring. Melt dark or semisweet chocolate, 1 cup sweetened condensed milk, butter and salt in the microwave for 30 seconds at a time on 50% power, stirring until smooth (May alternatively use a double boiler or bowl over a pot of simmering water). Cool slightly and stir in vanilla extract. Spread evenly into prepared pan. Heat white chocolate chips and remaining sweetened condensed milk in the microwave for about 15-30 seconds until stirred smooth (do not over cook as white chocolate can easily burn!) and stir in orange extract and food coloring. (Alternatively melt white chocolate and remaining sweetened condensed milk in a double boiler.) Immediately spread over your semisweet chocolate layer. Chill in the refrigerator for 2 hours or until firm.